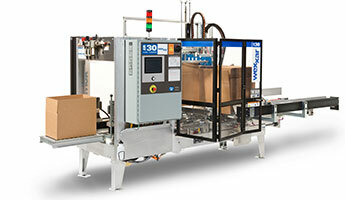 Our flexo label printing presses can handle a wide range of labeling needs for both packaging and retail uses. Atlantic has experience and expertise in producing folding cartons to meet precise packaging needs. We offer complex, pattern die cutting and clam shell die cutting for foam and chipboard corrugated converting. We have multiple core tube winders to produce both lightweight and heavy wall cores for textiles, plastics, labels, and more. Our extensive converting operation in the Dominican Republic includes comprehensive sheeting capabilities. Atlantic Caribbean has digital, offset, and flexo printing capabilities ideal for commercial printing needs. Somos Uno. We Are One. The official motto of Atlantic Caribbean demonstrates our unity in full support of our customers. Atlantic is a reliable source of high performance packaging materials and equipment for manufacturing customers in the Caribbean. Atlantic Caribbean is located in the Dominican Republic Free Trade Zone. We are strategically situated to serve major manufacturers in industries including textiles, electronics, and plastics as well as fruit and vegetable producers. We serve these markets with comprehensive packaging offerings primarily through our converting and printing capabilities and also through inventory management and distribution. Our location, our Atlantic team, and the services we can offer in the Dominican Republic mean fast turnarounds, outstanding service, and lower costs for our customers. Our Flexo label printing presses allow us to create a wide range of labeling options, from 7” to 10” blank labels or 3 to 6 color labels. We generate labels for customers that can be used for internal packaging and shipping and for retail use. The textiles manufacturers, medical/pharmaceutical manufacturers, and vegetable and fruit producers we work with, in particular, require labels as a critical component of their packaging and the capabilities we have with our presses ensure that we can meet their demands. Atlantic has also invested in the area’s only core tube winders to support label markets. We are here in the Caribbean to meet the comprehensive packaging needs of major consumer manufacturers. Our ability to create a wide range of labels at our Dominican Republic facility means our customers will get the products and materials they need, when they need them. At Atlantic Caribbean, we have comprehensive knowledge, advanced resources, and rich experience in producing the exact right folding carton product to meet the needs of our customers. Our printing and converting capabilities in conjunction with our folders and gluers mean that we can deliver high quality folding cartons with significant cost savings for industries including medical and pharmaceutical manufacturing. Atlantic is an invaluable source for folding cartons in the Dominican Republic Free Trade Zone. Whether you need printed color graphics or brown paper cartons, we can produce cartons in-house from inception to completion that both protects and proudly displays your product. Atlantic die cutting capabilities at our Dominican Republic facility include four 40” pattern die cutters that are used for the fruit and vegetable industry. We also have a pattern die cutter used for medical foam that we keep in a controlled environment so as to administer more stringent controls over the product. In addition, we have clam shell die cutters for foam converting and chipboard corrugated converting. Our die cutters provide opportunities to serve a wider variety of our customers’ needs within our converting operations. From folding cartons to foam, corrugated, and sheets, we are able to provide the precise packaging products our customers require with our versatile die cutting capabilities. Atlantic is proud to be the only packaging enterprise in the Dominican Republic Free Trade Zone that can offer services and materials from core tube winding equipment. By investing in core tube winders and creating a local supply source, Atlantic was able to eliminate added time and cost for our customers who were previously reaching out to the states for these products. In the first four years of Atlantic Caribbean, we expanded our core tube operations by 300% with plans to continue growing that business by adding additional, different core machines. This allows us to produce a wide range of cores to be used in plastics, plastic extrusion, label markets, textiles, and other core operations. Sheeting is one of our core capabilities in the converting operations at Atlantic Caribbean. We have a 65” sheeter and two 55” paper guillotines used for chipboard converting to serve the textiles and medical appliance industries. We can provide our customers with custom sheets of various grades and substrates for slip sheets, layer sheets and other paper sheeting needs. Custom sheeting also provides us with an integral piece for making custom die cut products in-house, such as folding cartons and trays. Our capabilities in sheeting provide unlimited opportunities to serve our customers with precision and quality when it comes to our paper converting operations. Atlantic digital, offset, and flexo printing capabilities allow us to serve the textile, medical/pharmaceutical, and food industries with full commercial printing services. Our digital HP 4500 press is roll to roll fed with offline finishing for high quality, fast turn printing. Our offset printers include two 40” 2-color Heidelberg presses,a Heidelberg 6-color with inline aqueous, a 40” die cutter for all folding cartons and folding inserts, and a 55” paper guillotine also supporting these commercial printing products. We have two folder machines, one of which is capable of folding pharmaceutical inserts down to 3/4”. We can also handle folding brochures, instructional leaflets, and we have an MBO folder that can fold from 2.5″ up to an 8 page book. Our flexo label area includes small format color presses and a large format 7-color incline aqueous and UV flexo press that can print on unsupported film so we can run anything from a liner back to a stretch band to any kind of plastic substrate. Flexo presses support the commercial printing needs of customers in medical/pharmaceutical manufacturing as well as the food and fruit industry. We Are One. The Atlantic Caribbean branch truly works as one unified team to serve the best interest and success of our customers. We all have our roles to play but we each work closely together to ensure that our customers get their products and materials on time and with the best quality. Exceptional service is a cornerstone throughout the entire Atlantic organization. At Atlantic Caribbean, you can expect nothing less than exceptional. One of our strengths and core capabilities lies in the high performance packaging materials and equipment we can provide for our customers in the Caribbean. We have expertise on staff to be able to source the best possible stretch films, tapes, strapping, and other packaging materials for a customer’s specific application. We offer a fast turnaround on materials, technical service on equipment, and valuable inventory control for helping our customers manage their cash flow. In addition to our inventory of packaging materials and equipment, Atlantic Caribbean is also a source for facility supplies, including wearables, janitorial and industrial supplies, personal protection and more. We are truly a one-stop-shop for all packaging and supply products. We’ve expanded our inventory space from 60,000 square feet to 90,000 square feet for better management of our warehouse, inventory control, and logistics chain and also expanded our Free Trade Zone to incorporate our new buildings. We run a fleet of six trucks to service the entire island of Hispanola. In all, Atlantic has invested heavily and continues to invest in growing our capabilities at the Dominican Republic facility in order to best serve the demands of our customers as they grow and develop.